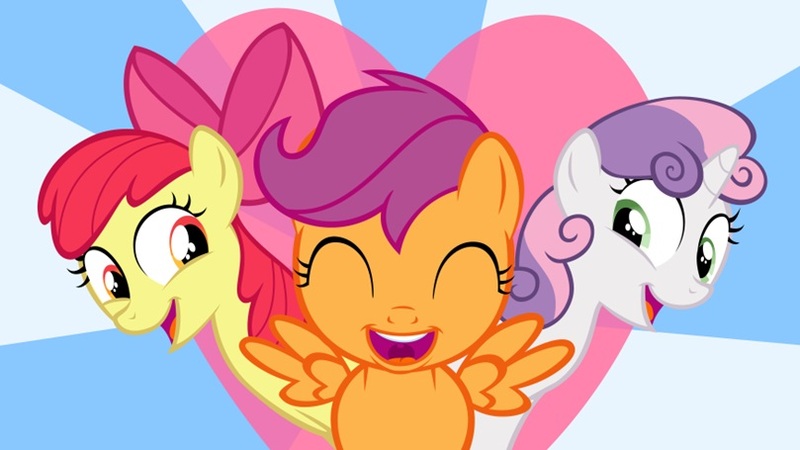 The Most Powerful Magic of All: A Retrospective Look at Season 4 of My Little Pony: Friendship is Magic (Part 2) | The Reviewers Unite! This look back at the latest season of FiM continues. Now, where were we? I’ve said it before and I´ll say it again: I definitely don’t envy Ms. McCarthy´s current position working on FiM. 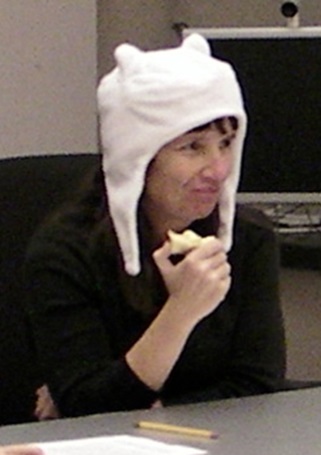 When both Lauren Faust and Rob Renzetti left the show, basically to go work for Disney Channel (Wander Over Yonder and Gravity Falls, respectively), the show had some big shoes to fill. Since Season 3, she has been promoted to head writer, story editor, show-runner and, since Season 4, executive producer, a responsibility she shares with co-director Jayson Theissen. So, it’s fair to say that a lot of what we have seen been made for the show since the end of 2012 has been watched over by her in some capacity. Just about every script for every episode since then has had a bit of her own handiwork on it, even if it’s just telling other writers if they need to add or leave out something (even then, all writers need to answer to their corporate bosses). Still, I’ve been a fan of her episodes since the beginning, and I´ve argued that she has one of the all-time best track records for any writer of the show so far. 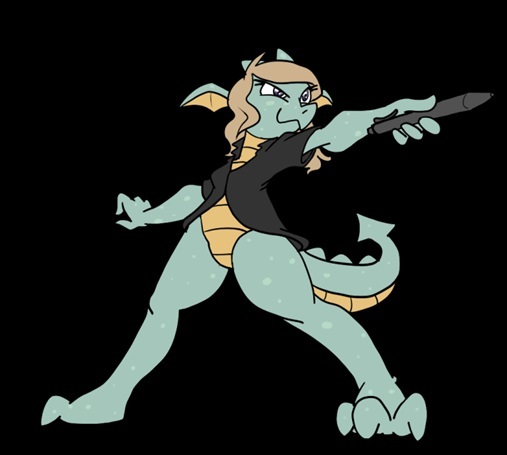 While there´s a meme about how she likes to drive ponies crazy (not entirely inaccurate, btw), her most distinguishing feature so far is that she has had a tendency of being tasked with episodes that try to push the scale of what can be accomplished with the show and its characters, which often results in some of the more action oriented episodes; Dragonshy is basically The Hobbit but with ponies, for example. This season, she continues to impress with some of her best work yet. Both the season premiere and the season finale feature some of the series´ all-time greatest highlights. In the past, the show has stumbled when it came to these two-part episodes, where it felt that the show wanted to be a big scale adventure with high life-or-death stakes, and while the elements for something great were always there, they’ve never come together as good as they are here. For a show that is defined by its simpler, lighter, much more easygoing moments, thanks to her the show has proven that when it wants to go big, it really can. I’m also glad that she’s back doing “regular”episodes, even if she shared a writing credit with others in all that she worked on. Unfortunately, there are still a few bugs that she probably needs to take a look at. In some of these episodes, we’ll often see a certain small story point that feels unnecessary or only exists to forward the plot (Zecora’s very convenient flashback potion, for example). These are strictly nitpicks, but when everything that surrounds them is as good as it is, these issues stand out even more. I want to give McCarthy the benefit of the doubt and conclude that these are signs of ambition trying to escape the confines of a two-part episode, and that if given more room to work with she might sort things like these out, but then again, I’d say that Equestria Girls, despite clocking in at over an hour long,also had a few similar chinks (even if for different reasons). Despite this, I’m overall glad that a writer like her has a strong sway in the show, and while more often than not we may have to take what comes out of her mouth with a grain of salt, I still believe she can put her money where her mouth is. 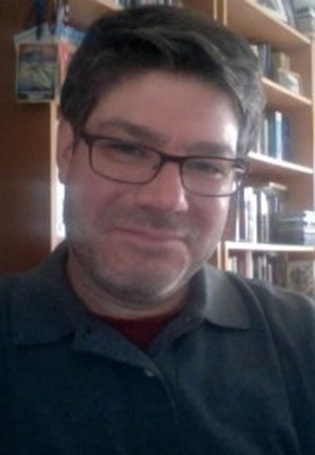 Of all the writers new and old this season, I’m willing to call Mr. Haber the weakest of them all. That’s not to say that I think he’s bad, but it still feels like he hasn’t quite figured out how to work with this show yet. He had a good debut with Castle Mane-ia; while it was far from some of the best of the season, I praised it for being a very simple, very straightforward event that gives us only a premise and tries to get as much jokes out of it as it could. After all the MLP related drama in 2013, we needed an episode like this, one where we could just kick back and watch ponies be silly for a while. No fuss, no muss. I still stand by that assessment, even if I’m not as fond of it as others. Sadly, the rest of his output this season would be some of its worst. Simple Ways could’ve been one of the show’s funniest episodes, yet it feels very misguided and unfocused (I just couldn’t get into Rarity’s “impression” of Applejack). That being said, the Apple Jewel sequence is one of the best individual moments of the entire series so far, easily the most unexpectedly funny thing the show has done with Applejack. 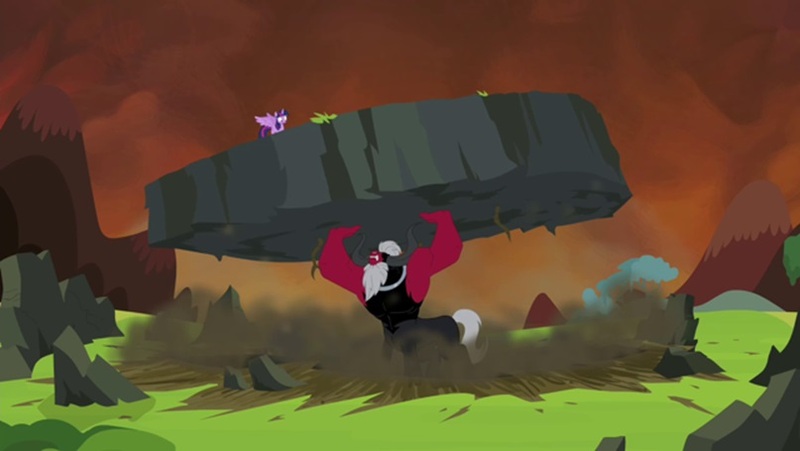 Speaking of good things done with Applejack, while the conflict at the core of Leap of Faith was very solid, the rest of the episode fails it. Nothing in this episode, particularly Granny Smith’s bizarre, sudden, go-for-broke plot point regarding her former career as a high diver, is as interesting as Applejack’s dilemma. All in all, Mr. Haber seems able of writing good jokes and has potential for being a good storyteller as a member of this show’s writing staff, but he’s not quite there yet. It’s still unconfirmed whether he will return for Season 5, but I’m still willing to still give him a chance. Who knows? Maybe he will be the next Dave Polsky and surprise me with some of the best episodes of a given season. Speaking of which…. While he already had redeemed himself in my eyes in Season 3, this was the season that made me forget about whatever stigma surrounded Polsky’s name back in Season 1. 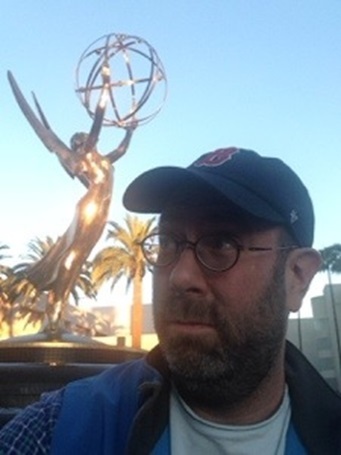 He currently seems to be one of the show’s most trusted writers, having 5 credits this season and only surpassed by Meghan McCarthy’s 7 credits. At first, the best part of his writing was his comedy; not only was there a certain wit about the characters’ dialogue, but he was also good at writing slapstick. This season, he got to show a lot more variety than ever before. From the very 1930’s adventure serial-esque Daring Don’t , to Rarity’s best inner conflict so far in Rarity Takes Manehattan. Despite Twilight Time feeling like a very middle-of-the-road affair, he made up for it with For Whom The Sweetie Belle Toils, which sacrifices potential for comedy in its second act in favor having Sweetie Belle come face-to-face with her inner demons (figuratively) and the consequences of her actions regarding her alleged hatred for her sister. 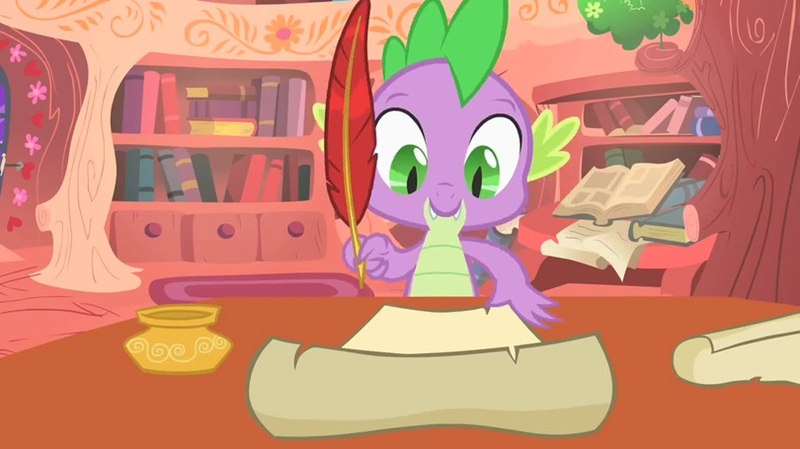 Finally, there’s Equestria Games, which may be the best Spike episode yet. Here’s hoping we see more Polsky in Season 5. Having written only one episode by himself and another with Meghan McCarthy, it’s still a bit early to see how Mr. Valentine’s contribution to the show can stack up. Looking only at Flight to the Finish, I’d say he has a good understanding of the show’s characters, tone and feel. If I have a problem with this episode, it’s that it feels like two parts of different episodes crammed together into one. Part 1 is about the competition to carry the flag at the Equestria Games, the other half is about Scootaloo’s inability to fly. This only becomes relevant to the plot until we’re halfway through, and given that a flightless pegasus in this universe is pretty rare, you’d think that there would’ve been an entire episode to address this. Still, credit where credit is due, it’s impressive how they satisfyingly wrap up this story thread in just half an episode, to the point where I don’t think it needs to be brought up ever again. In the end, I still want to see what else can come from Mr. Valentine, if only so that he may remembered for something other than the time bronies were practically throwing roses at him because of a single episode that addressed a topic that they were very eager to see on the show, only to have a mob coming after him after Three’s a Crowd dared to acknowledge the existence of Flash Sentry in the most inoffensive way possible. 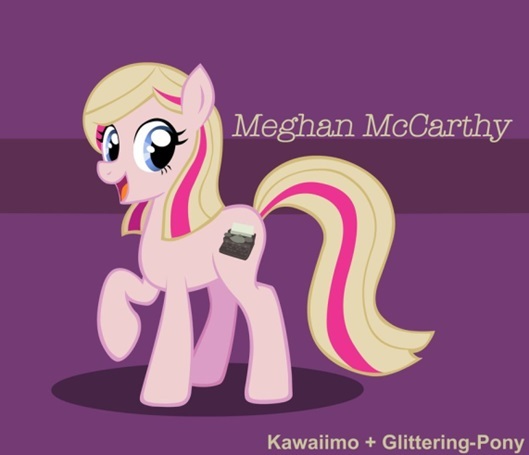 Having worked in only one episode this season, that one being in conjunction with Meghan McCarthy, it’s hard to pinpoint whatever influence either of these writers had in Power Ponies, especially when the overall vibe of the episode feels very much like McCarthy’s. 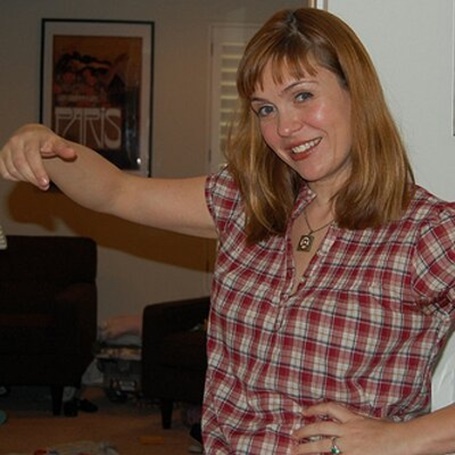 Despite not having as big of a presence as other writers before her departure from the series after Season 2, Fullerton had a solid output, with her best works being very endearing, such as Baby Cakes and Suited for Success. Power Ponies is very far removed from the tone and feel of those episodes. That’s not to say that I thought the episode is bad, but it’s just hard to assess what her contributions were when I’m not as familiar with her style as other writers. As for Betsy McGowan, I can’t say much either given that I’m not familiar with her work outside of this one episode. I can only imagine what it must be like to have written only one episode for a season and have someone mess up the writing credit when the episode airs. I am definitely on the side of the fandom that considers Ms. Williams to be one of the lesser writers of the show, given that her previous writing credits and general style have often seem at odds with the typical tone of the show. That being said, “Bats!” was probably the best offering she has delivered in a long time. I’m still not a fan of her less-than-upbeat style, but that hasn’t fit onto the show this organically in a while. Characters get to deliver some good jokes and we get one of the more interesting (and popular) magical mishaps this season. Still, much like “Flight to the Finish”, it feels like two episodes mashed into one. One half is the pretty straightforward “Fluttershy vs. Everyone Else” story, while the other half turns into a sort of monster movie, which kind of undermines the episode’s message of learning to search for long-term solutions. Regarding whether she returns for Season 5 or not, I could go either way. Ms. Levinger may just be the best new writer we’ve had this season. Both the episodes she wrote demonstrate that she has a very good understanding of the show’s easy-going sense of humor and “slice of life” nature. 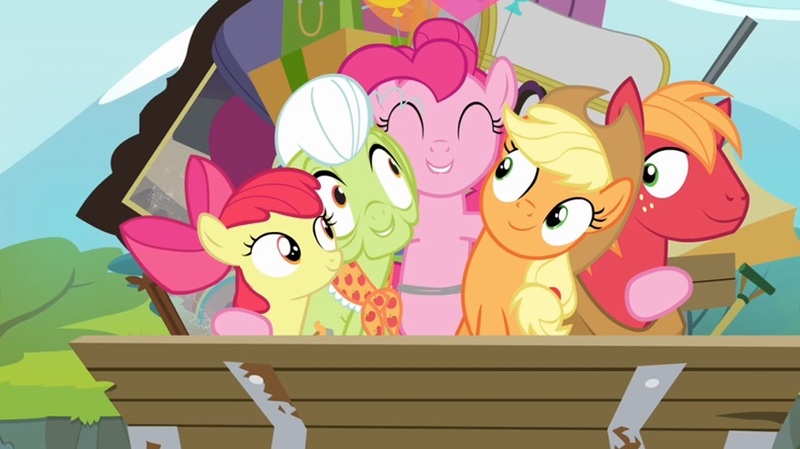 There’s a certain warmth about Pinkie Apple Pie and It Ain’t Easy Being Breezies that make them so watchable; they’re the kind of episodes that now exactly what they need to be about and deliver it very well. If the biggest take-away I can have from an episode of this show is that it made me smile the whole way through, it doesn’t really need anything else to be worth my time. So yeah, not much to say other than “very good job”. I feel very bad for Corey Powell. After such a strong debut with Sleepless in Ponyville, the bar by which most of her episodes would be judged from then on was set too high. Some have labeled her as a one-hit wonder because of this, but I still think she’s a welcome presence on the show. 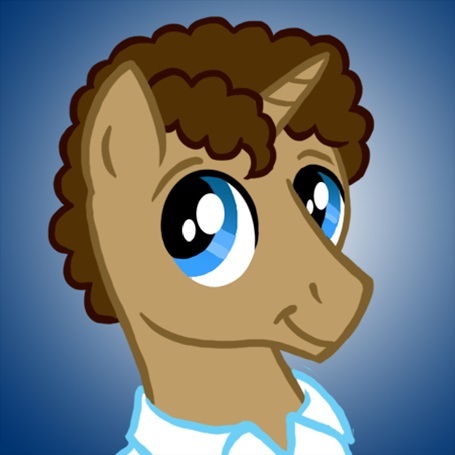 Let me take a moment to talk about Rainbow Falls, which is considered in more than a few circles to be a poor episode. Yes, it has some big problems, such as laying on too thickly Rainbow Dash’s team´s vibe as the “uderdogs with lots of heart” team and the Wonderbolt’s “Jerks with better chances at winning” team, and having the eventual turn-around for Spitfire and Fleetfoot a bit too forced. 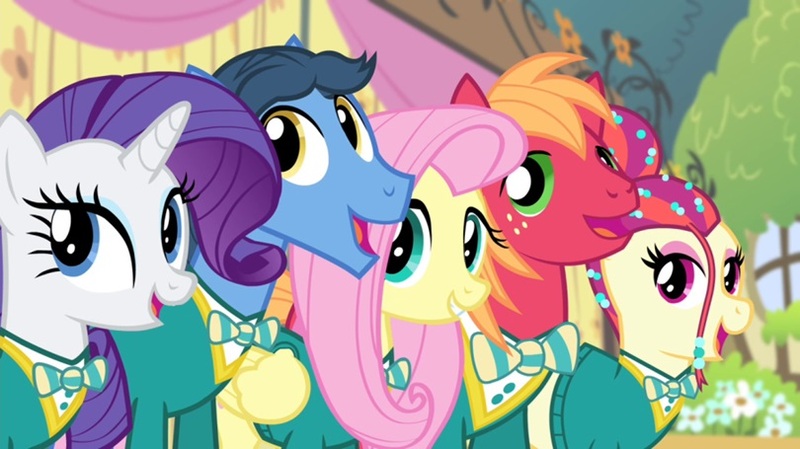 But still, I’ve been a defender of it, mostly because I see it as a far superior version of Wonderbolt Academy, which I’ve long considered to be one of the most infuriating episodes in the entire show (I like to call it the Murphy’s Law episode). I don’t want to digress too much, so I’ll just say this: everything that went wrong in WA is done better in “Falls”. 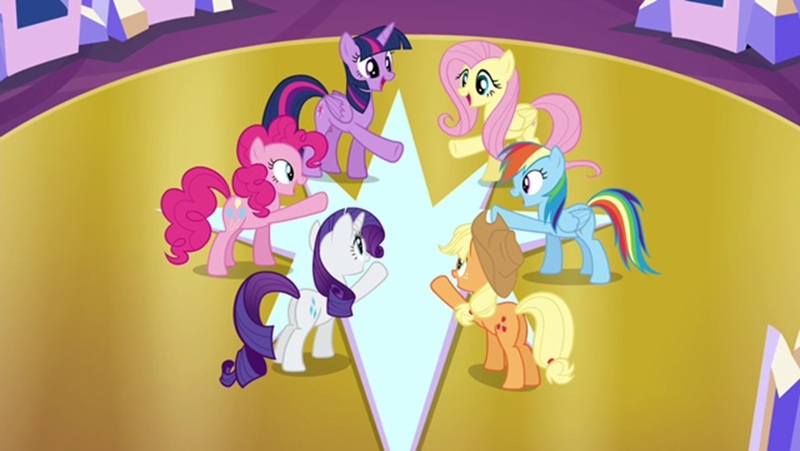 RD’s conflict of loyalty feels a lot better executed because we actually get to see her struggle in making the right decision, as opposed to getting shafted by secondary characters or a B-plot, her friends feel like they actually have something to do here, even if it’s mostly comic relief (except Twilight, who gets to play mentor), giving Bulk Biceps an actual performance turned out be a good decision to turn a one-joke character into something with a little more purpose, and while Spitfire and Fleetfoot got off the hook way too easily after being called out on their BS, it feels more genuine for them and RD to have a heart-to-heart as competitors instead of as superior to subordinate, as was the case previously. As for Inspiration Manifestation (co-written with McCarthy), while not a bad episode, it feels like it runs out of steam too quickly. The set up and rising conflict are all presented in both the cold open and Act 1, which means that Act 2 is mostly a collection of scenes of Rarity twisting Ponyville into her own vision, running out the clock so we can solve the conflict in Act 3. That being said, it’s probably the best spotlighting of Spike’s feelings for Rarity, where he lets the audience know that he’s aware of why it would be very hard for Rarity to return the feelings he feels for her, yet he’s still her friend and would do anything to make her happy. So, while not the best writer this season, I’m still cheering for her. While I haven’t considered her to be my favorite writer in Seasons 1 and 2, this season made me realize how much I missed her. There’s a certain factor that she brings to every one of her episodes that make them so charming in a way that most writers, past and present, simply haven’t. She may just be the best at writing comedy in the show and her penchant for music is intoxicating. Having her write an entire musical episode is one of the best decisions the show has ever done. All three episodes she wrote here have music in them and they’re all highlights in their own right. I think she just might be my favorite overall writer this season and it makes me so happy to know she has already been confirmed for Season 5. 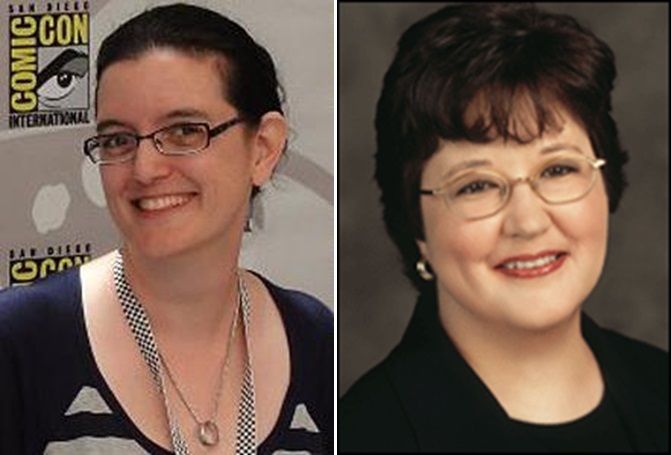 If I had to rank the show’s writers on a list, this one would be somewhere in the middle. That’s not to say he is a mediocre writer, both his episodes are entertaining, but they either don’t have something to make them rise above most other episodes, or they’re executed in a way where their best elements feel like they could’ve been done better. 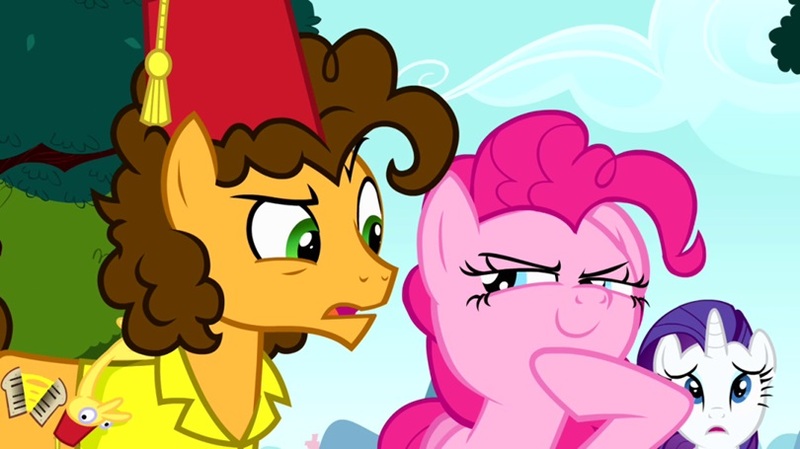 This was a very good season for Applejack to flex her comedic muscles, and turning her into an overbearing guardian to Applebloom in Somepony To Watch Over Me had very funny results. The fire swamp sequence is one of the season’s high points, but it feels a bit tacky to pile on the theme of putting up with siblings. “Trade Ya!”, while funny, feels like it’s trying to do a bit too much with 3 different stories. As a result, some of these feel very underdeveloped, particularly the Applejack/Rarity story. With that in mind, Mr. Sonneborn’s efforts this season fall comfortably into the “good, not great” category. I know I just said that Natasha Levinger is my favorite new writer, but Maud Pie may just be the best episode by a new writer this season. It’s very risky to write an episode that revolves around a new character, particularly one that we may not see again in a long time, if at all. You could end up with a beloved new character by the same token that you’re going to waste the viewer’s time. 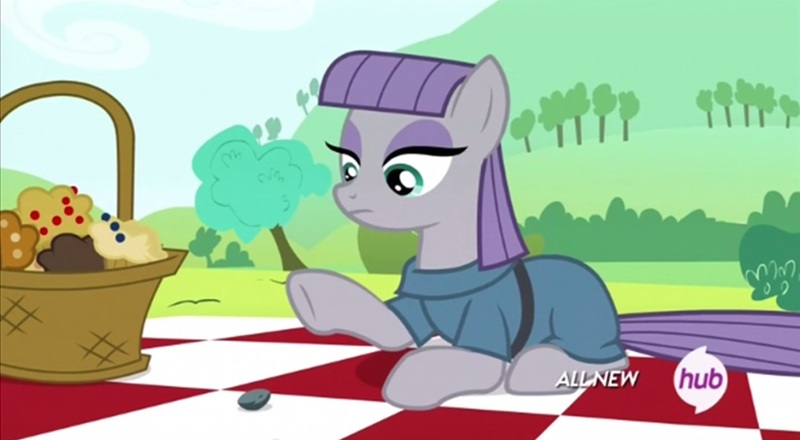 However, Maud may just be the best new character this season. Not since Discord has there been a secondary character who can have an entire story written around them and come out as a giant scene-stealer. My decision to favor Ms. Levinger as best new writer is based on Ms. Benvenuti having only written one episode, particularly one that doesn’t revolve (at least entirely) around one of our main characters., whereas Ms. Levinger got two write two episodes where the focus is on at least one of them. While Ms. Benvenuti did show a good grasp of the main cast with the roles they were given, I want to see her tackle a concept a bit more focused on the main cast. Of all the new writers, she is the one I want to see return the most. I don’t have any formal training regarding music. I don’t play an instrument, I don’t sing, I don’t write lyrics and I can’t read sheet music. This next section is just my opinion regarding some personal favorite musical moments this season. I didn’t think much about this song when I first heard it. I didn’t hate it, but I guess I’m not a big fan of “marching” songs. After a few more listens though, the song grew on me big time. It made me realize that we haven’t had a true Cutie Mark Crusader song in the show, one that makes some kind of statement of purpose about these characters. All their songs in the past have been intended as either a joke or their reaction to another character. Here, we finally have an anthem about the CMC’s never-say-die spirit and their commitment to whatever challenge they face. It may be contextualized in the very specific story about the flag-carrying competition, but it still captures what these little girls are all about in song. It’s just a very fist-pumpingly catchy tune. It’s easy to refer to this song as Rarity’s version of Smile Song, and while that’s a valid interpretation, it’s still is own song. I’ve enjoyed when the show tries to go full-on musical style, where a song is intercut with character’s dialogue. It feels like a song you would hear in a theater production. Here we also have some of my favorite techniques that composers Daniel Ingram and Steffan Andrews like to use: the use of build-up and key changes. It feels like the song keeps growing and swelling, making the emotion behind the song feel bigger; you feel like you get swept up by the song and takes you away. 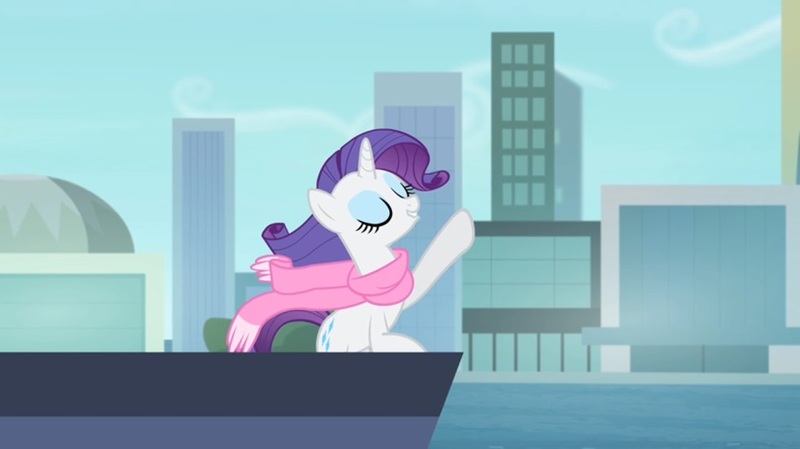 It serves the double function of formally introducing us to the city of Manehattan and also setting up Rarity’s arc. Still, what may be the best part is the reprise, the use of the same song with a different tone and melody to evoke an entirely different feeling. I know this has been done elsewhere before, but judged on itsown merits, this feels novel and different for MLP. It’s easily Kazumi Evans’ best work on the show so far. Speaking of songs used as setup, this song was used in Pinkie Apple Pie to juxtapose the Apple family’s vision of themselves as an ideal family so that we can later see the cracks show up. Still, the song in and of itself is such a happy, catchy numbwe. 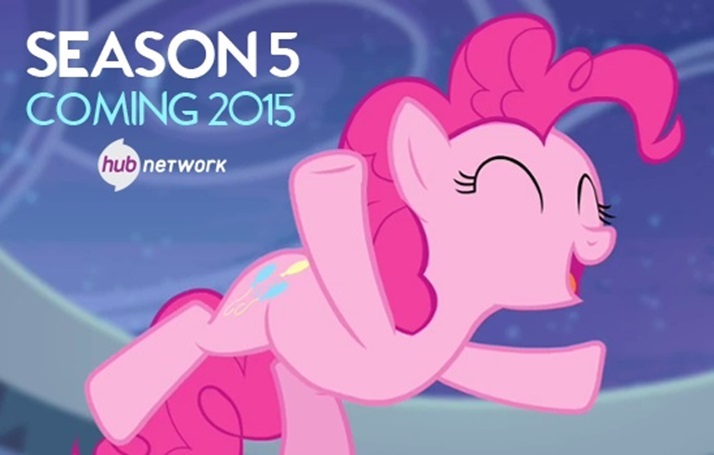 No wonder it was Hasbro’s choice for a preview of Season 4 in Comic-Con 2013. Here, Ingram and Andrews use similar techniques as in Generosity, where it starts small and it keeps building up to such a joyous finale. It’s one of the happiest songs in a show full of happy songs. Not much to say after that. 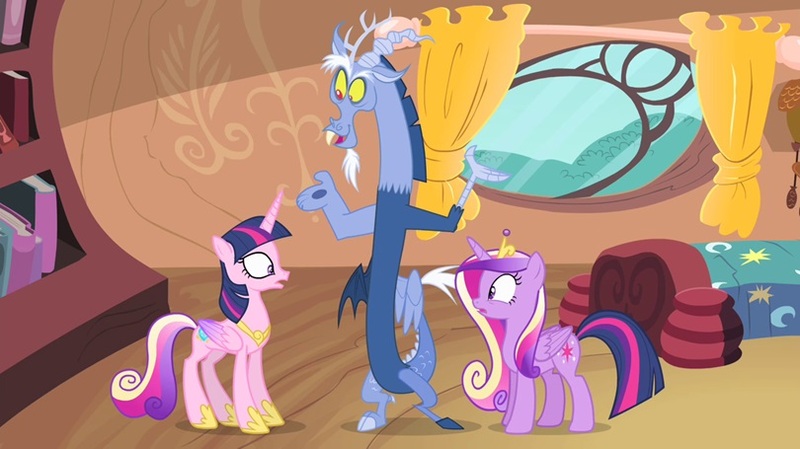 If Discord was going to get a song all for himself, it needed to be something special. Just what kind of song do you write for a character that is the embodiment of chaos? Turns out the answer is just that: chaos. This is the kind of piece that shines less for its melody or vocal performance (truth be told, you don’t get John deLancie on your show because of his singing chops) and more about the ride that it sends you on. Perhaps more so than most other songs in the show, it needs a visual accompaniment to show its true strength. The song is less than two minutes long, yet it throws so much crazy images at you at such a frenetic pace, that it feels a bit longer than that. While it may not stand as one of the best songs in FiM given that it can’t be enjoyed in the same way as most other songs in the show, the sequence itself is one of the best stand-alone moments of the season and possibly the whole show. Discord couldn’t have asked for a better singing debut. It’s easy to compare this episode to FiM’s other musical episode, but I like to think that there’s a significant difference in style between Magical Mystery Cure and this. In both, every song is used to convey an emotional tipping point in the story (What My Cutie Mark is Telling Me and Super Duper Party Pony introduce the conflict, for example etc. ), but in the former, each song feels like it’ own self-contained bit of story. They’re not very different from what we’ve come to expect typically from music moments for this show. In Pinkie Pride, the songs feel like they’re more in line with what one would expect a musical to be like. They are crafted in such a way that they almost create a dependence on one another. 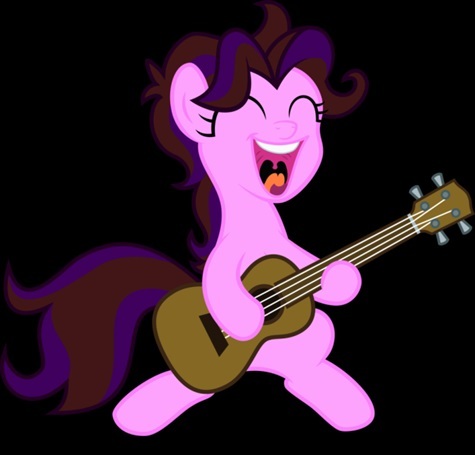 Most of them have dramatic shifts in tone (Pinkie’s Lament starts with self-pity and evolves into self-aggrandizing and even thrust for retaliation against Cheese Sandwich) and it’s a more obvious case of having song serve as dialogue for the characters. As a result, the songs flow into the story a lot more smoothly, and while this may make this episode a better musical, I still think that Cure has the more memorable collection of songs. That’s not to say that the songs here are without merit, but for me songs like True, True Friend and Celestia’s Ballad will always have the edge over whatever individual song heard here. In the end, both episodes are different enough to set themselves apart from each other. They both have different things to say and different ways of expressing them. While not credited as an actual song, I wanted to take some time to write about this. If you grew up at any point during the 90’s (maybe also the late 80’s) you know that pop culture’s choice of “cool” music was rap. It showed that you were tough and had attitude and people had to listen to what you had to say. This was especially true in entertainment, where everybody was taking a shot at rap in a very in-your-face sort of way. Now that that decade is long gone, we’ve looked back on it and realized that a lot of this, while part of the pop atmosphere of the time, was very silly. Even then, when people think of the rap and hip-hop scene from then, what probably comes to mind first is the violence that surrounded the medium. With that in mind, having a cartoon, particularly one such as MLP, attempt a rap sounds like the dumbest thing the show could do. However, not only does it work, it’s pretty terrific. It all begins with the presentation. At the start, the screen switches to a smaller, grainier format, as if to emulate a television from the time this music came from. The video is a saturation of bright colors, attitude, and ridiculously spot-on outfits for Pinkie Pie and her posse (also, skateboarding). It’s certainly borrowing some of hip hop’s goofier elements. Finally, what brings it all together is the lyrics. The song itself is a very straightforward listing of Wonderbolt V.I.P.s and how awesome they are. 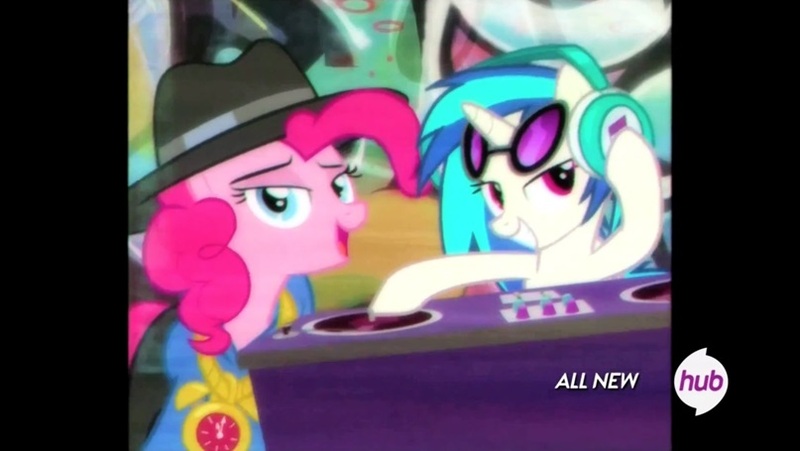 At no point does Pinkie try to throw in some kind of pony slang and turn it into something rap related. It feels like at the time of writing this segment, there was serious thought into conceiving the scene in a way that fits the show in some kind of weird way. It’s definitely going for a silly angle rather than a “cool” one (If the show was trying to be cool, it probably would’ve tried the more modern style of going to the club and spending lots of money etc.). It shouldn’t work, yet it does. A princess quartet? You know that’s gonna catch people’s attention. This is the moment in the story in which we start to get a better picture of how Twilight’s journey as a princess is formed. Despite all her learning and technically being royalty, she’s missing a sense of responsibility similar to what the other princesses are doing. Despite her woes, they reassure her that her time will soon come. What we have here is a collection of what may be the best singers on the show. It wasn’t until this started that I realized that Rebecca Shoichet hadn’t sung this season outside of some small bits here and there, and she gets to deliver her best work since The Failure Song. Nicole Oliver’s performance is a reminder of what a priceless addition she is to this show and just how much Celestia, despite having her role a bit downsized ever since Twilight became a princess, still matters. Rarity’s singing voice, Kazumi Evans, brings us Luna’s long overdue musical debut. Despite some obvious similarities, the singing here is distinct enough from Rarity’s so that Luna can have a voice of her own. Also, bonus points for tying in her own experiences onto her lyrics. Finally, Brit McKillip continues to show her chops as Cadence, and while she doesn’t get to go as big as she did in This Day Aria, she still slips comfortably into her role. So yeah, four princesses, four very lovely performers, one big showpiece enough to get me misty-eyed. Part of the hype in the lead-up to Season 4 was the mention that the show was trying to increase its scope and approach certain scenes as if they were movies, or so I remember. It was easy to imagine the show suddenly becoming more adventure-oriented and raising the stakes higher than ever. The fact that that’s not too far from what we got is a pleasant surprise. The term “action scene” is very broad, to the point that it can be almost anything you want it to. It can be a chase scene, a rescue scene, a race, a brawl, a war, etc. I bring this up because, while this season has featured more action than any other, there’s actually been quite a bit of diversity in it. Things started out strong in Princess Twilight Sparkle, where we flashback to the rise and banishment of Nightmare Moon. The scene gives us a sense of scale not seen before in the show with a chase between her and Celestia above Canterlot, where the latter is resisting to attack. We see this from Twilight’s perspective as they fly over the city. Thanks to some cinematographic improvements over previous seasons, flying in this show had never felt this exciting. Later, we would get another morsel of ponies being kickass when Twilight’s friends rescue her from the gas flowers. While not quite the Changeling battle from A Canterlot Wedding, the staging and “camera” work add excitement to the moment in a way the show hadn’t done up to that point. Not bad for a scene in which ponies beat up plants. It’s scenes like this where we also get to see some noticeable improvements in animation, such as new poses and movements for the characters. While the season shows new layers of polish all throughout (more expressive characters, better use of lighting, etc. ), and even though it is expected that animated shows today increase their animation quality overtime, it’s still noteworthy how scenes like this are an entertaining way to show it off. The action didn’t stop there. 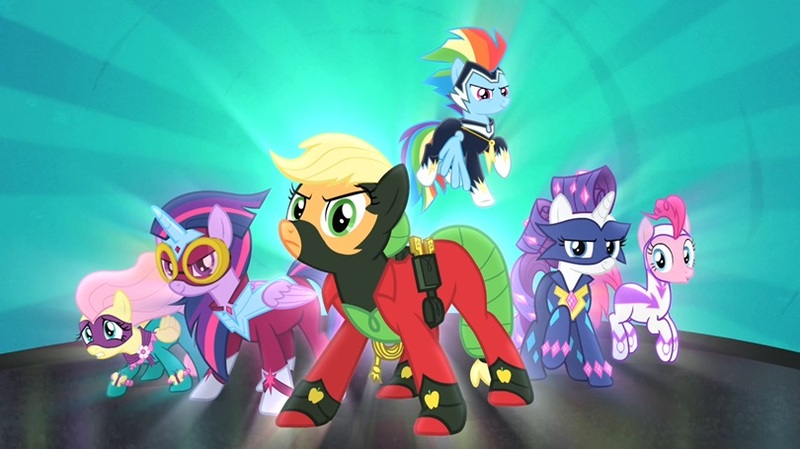 From the Indiana Jones-esque Daring Don’t (Daring Do is very punch-happy), to the campy superhero action in Power Ponies (They fight a hair-themed supervillain. That’s pretty campy. ), the fight with the Tatzlwurm in Three’s a Crowd, the chimera battle in the fire swamp from Somepony to Watch Over Me, Maud’s rescue of her sister in Maud Pie, Spike melting an iceberg in Equestria Games, and of course, Twilight vs. Tirek in Twilight’s Kingdom. I’ll admit that the main reason why I decided to include an action segment in this editorial was to address some personal gripes I have with the reception to this scene. Maybe it’s a generational thing (I’m probably a part of that generation), but it was easy for a lot of online fans to draw parallels between this fight and the fights from Dragon Ball Z. After all, we’re watching two beings with immense power blasting at each other with giant energy beams while tearing up the landscape. It was fun for a joke, but the more omnipresent the memes became, the more it started to bug me, which goes beyond my love/hate relationship with that series or the fact that it’s not the only series to have done action in a similar scale since it came along, even though it’s the one that popularized it. I feel like referring to this as just a cool action scene undersells how effective and important it is in the context of the episode. It may just be its most important moment. The story itself is about Twilight trying to find an important duty to fulfill as a princess. When she is singled out to be the bearer of all the alicorn magic, it’s because Tirek is not aware that she’s a princess yet. Despite not being in control of her own magic yet, she is reassured that as the Element of Magic, she can find a way. By the time she comes face-to-face with Tirek, he has become so powerful that there’s no option but to fight him. What we have here is a scene showing off how astoundingly massive her accumulated power is. We needed to see just how powerful she had become so that when she eventually sacrifices it to save her friends, it becomes all the more meaningful, and even hard to watch. This is where Twilight has her “rainbow connection” moment, where she concludes that all that power isn’t as important as her friends. It’s also here where Twilight’s story intersects with Discord’s, where she addresses him as a friend despite having every reason to hate him. In an act of repentance for his actions, he hands her Scorpan’s medallion as a sign of fully giving into friendship. With this, the girls have the final key to open the box and unlock a new power to defeat Tirek. 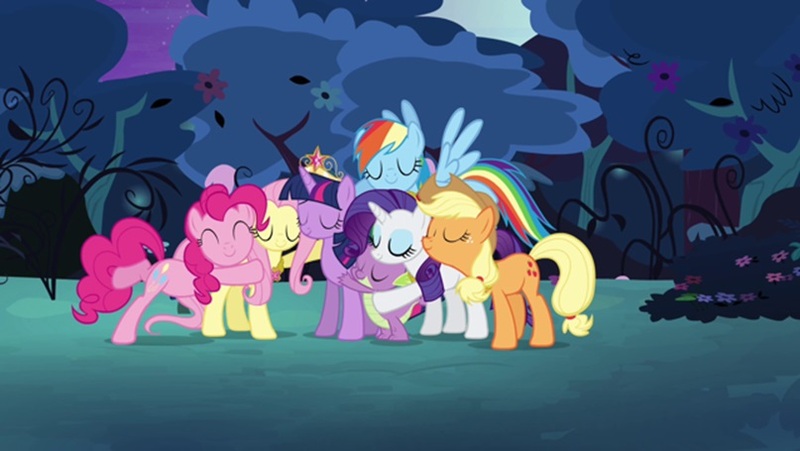 While not addressed directly, there’s a theme about how violence wasn’t the solution to the problem, and how powers on a magnitude as we saw here aren’t as strong as the bonds of friendship the girls have with each other and the ones they’ve shared with other characters over the course of the season (that’s just MLP for you). We’ve seen similar scenarios in Canterlot Wedding and even Equestria Girls, where the downfall of a powerful enemy who has turned the heroines’ powers against them comes from a pure concept like friendship (or love, in that one case) giving characters something stronger than just raw power. No matter how bad things get or how hopeless things have become, the hope that friendship will endure and win in the end remains. Sure, it’s easy to say that things will always turn out OK because it’s a children’s show, but if the story makes it easy for the viewer to get lost in the moment without a clear idea of how things are going to wrap up, it’s hard to care. I may be wrong, but that doesn’t sound like DBZ to me. So far, there’s no official statement about when is Season 5 coming out besides the fact that we won’t see it until sometime in 2015. 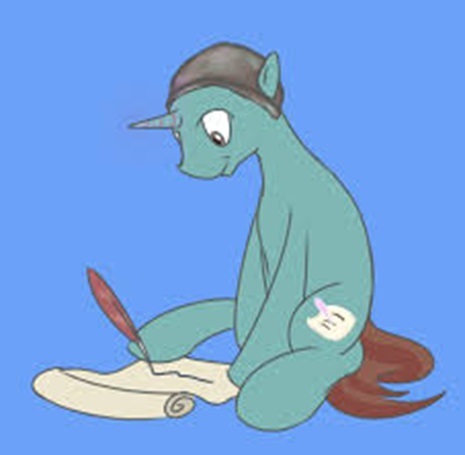 However, that doesn’t mean that MLP won’t be absent for the rest of the year. The IDW comics’ series is still putting out a new issue every month, as well as the currently ongoing Friends Forever series. These are a terrific way to continue telling stories in the FiM universe and even expand on the development of certain characters. As of the time of this writing, Amy Keating Rogers’ The Journal of the Two Sisters, a book featuring the contents of the journal the girls were using to write down their friendship lessons, is available now. It’s worth the price just to read backstory on Celestia and Luna before Twilight and friends started writing entries of their own (Also, I hear Pinkie Pie’s entry from Pinkie Pride is pretty special). 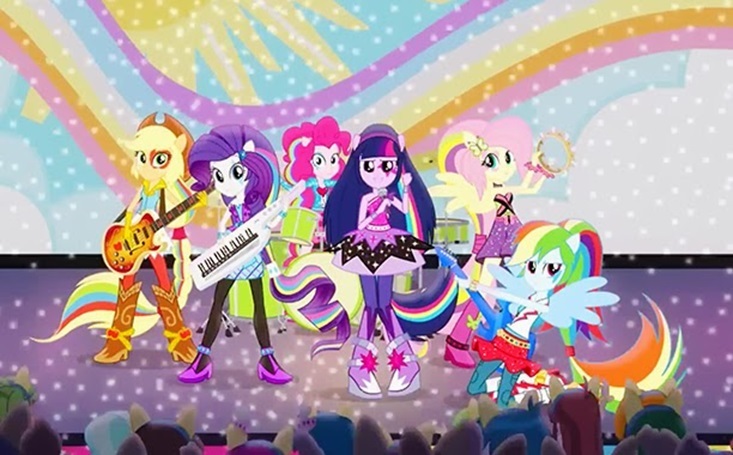 But of course, the big remaining tent pole for MLP this year is Equestria Girls: Rainbow Rocks, of which even now we also know very little off outside of the animated shorts that have been getting released recently. I think it’s a safe bet to assume that when MLP goes to Comic-Con, we will probably have our first true look at what to expect from this movie, and most likely also a trailer. I am definitely not looking forward to the inevitable whining when this turns out to be the big deal of the show and we learn little to nothing about Season 5. Speaking of which, what can we expect next season? First of all, I expect it to follow up on the more important questions left behind at the end of S4. How are Twilight and friends going to affect Equestria now that they officially have a kingdom? How much is life going to change in Ponyville because of Twilight’s castle? Will anything be done about the library? How do the rainbow powers actually work? 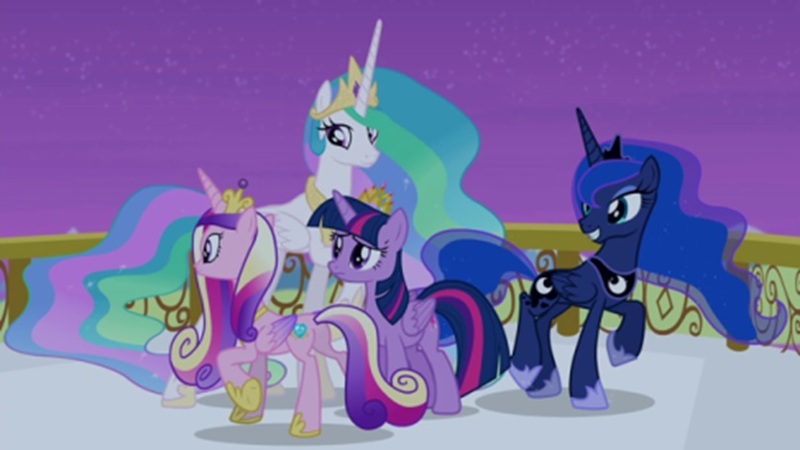 Will Twilight’s friends have some kind of special role as members of her “court”? 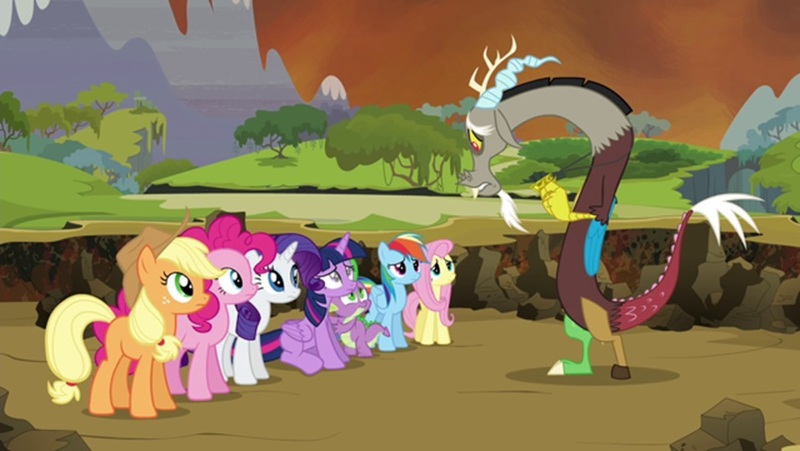 Will we see Discord continue to work to make up for what he’s done? Any other question I may have feels very particular and very fanboy-ish, and also this is long enough as it is, so I’ll just keep those to myself. Of course, above it all, I want it to be good. I want the show to continue being its tradition of being an endearingly engaging and very watchable series, and no matter what crazy thing it throws at us, it won’t forget what makes a show like this matter. Considering the efforts of the current team over the course of the last half year, I think there’s little room for doubt. Well, that was a mouthful. Coming up next, My Top 10 episodes of the season! Hopefully, it won’t be as wordy. To be frank, I think this season was leagues above Season 3. It had a few duds, but overall, I really enjoyed it. The character development worked really well here, and that’s what ultimately powered the season along. Although it does make me wonder if the MLP seasons will suffer from the Star Trek Movie Curse . . .